Pharmacy Data Network (PDN) is a healthcare data combinator - taking variables in diverse data libraries and combining them to create one common database for use in the healthcare sector. Collaborating with various healthcare systems, PDN has created one standard interface where healthcare data can be entered, collected, stored and shared across all systems involved in the network. 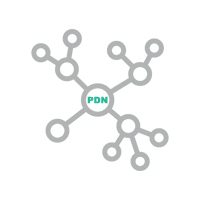 PDN has developed a network of healthcare professionals and technology experts that strive to improve the interoperability of healthcare systems by simplifying and streamlining the process in which pharmacy data is exchanged - facilitating greater accessibility to the data that is needed to drive innovation and positive outcomes in the healthcare industry. By performing the routine task of filling prescription orders, pharmacies submit data to PDN via a secure network connection that is provided by the pharmacy's preferred software vendor. Pharmacies participating in the network do not experience any change in prescription claims adjudication or fulfillment procedures. PDN has partnered with pharmacy software vendors to develop one common interface. Rather than developing interfaces to hundreds of systems, pharmacy software vendors now route pharmacy data to PDN where it can be collected, stored and readily redistributed on behalf of the pharmacy. The shared common interface eliminates replication of interface development, reduces strain on pharmacy systems and bandwidth, and minimizes the transfer of data to various servers, while providing the pharmacy with immediate access to more services they wish to utilize. Pharmacy Data Network collects data in real-time from each participating pharmacy via the common interface that has been established with the pharmacy’s preferred pharmacy software vendor. PDN securely stores the data, standardizes it and makes it readily available for distribution to pharmacy service providers that the pharmacy opts to conduct business with. PDN provides pharmacy approved service providers with a single source, secure, HIPAA compliant data feed. Data downloads are available in a standardized format, or PDN will coordinate with individual providers to deliver data in a format that's suitable for the specific system or service. The data that is received by the service provider is used to provide the pharmacy with services such as business analytics, medication adherence tools and marketing – to name a few. Pharmacy Data Network (PDN) provides outbound data feeds to the following companies and services. Lenexa, KS – (March 07, 2019) – The American Pharmacy Alliance (APA), a technology partnership of leading pharmacy software companies that supply prescription processing systems to more than 16,000 independent and small chain pharmacies throughout the United States, has entered into a preferred business agreement with Pharmacy Data Network (PDN). Through this agreement, APA members have the option to utilize PDN’s new automated coupon dispensing (eCoupon) solution, a patent pending process that gives pharmacies the ability to automatically retrieve and apply electronic sponsored patient savings directly within the workflow of their pharmacy management systems. "Our goal at APA is to provide access to beneficial products and services for independent and small chain pharmacies, their customers, and software vendors nationwide" said John Hobson, APA’s Vice President. "PDN’s eCoupon engine dramatically improves the workflow of the community pharmacy by embedding information directly into the pharmacy management system to allow automated real-time billing and adjudication of the coupon." Gary Norman, PDN’s Vice President, Business Development, stated, "We’re extremely pleased the APA shares our vision for automated electronic coupons and recognizes the value we are able to bring to all their members." Norman added, "We’re excited to expand our partnership with the APA to continue our commitment to offer new and innovative services to the community pharmacy market." The American Pharmacy Alliance is a technology partnership of leading pharmacy software companies that supply prescription processing systems to more than 16,000 independent and small chain pharmacies. APA programs help community pharmacies significantly expand their value to patients and to the health care delivery system, and at the same time help other industry partners achieve their patient care and business goals. For more information about the American Pharmacy Alliance and our Members please visit www.ameripharm.com or contact John Hobson at jhobson@ameripharm.com. Founded in 2015, PDN provides a robust suite of services to pharmacy management system vendors to support their community pharmacy customers. In addition to the new eCoupon, PDN provides data aggregation/standardization services, an iPad pharmacy delivery app and an assortment of other custom products for the community pharmacy market. To learn more about Pharmacy Data Network, please visit www.pharmacydatanetwork.com, or contact Gary Norman at gary.norman@pharmacydatanetwork.com. St. Joseph, MO – (June 19, 2018) – Pharmacy Data Network (PDN), a pharmacy system data aggregator, has announced a new partnership with DrFirst, a leading provider of e-prescribing and patient medication management solutions, to improve patient safety and medication adherence by adding prescription data from independent retail pharmacies into DrFirst’s Medication History MedHx service. This partnership will provide clinicians with access to the most current, accurate, and complete medication history data available at the point-of-encounter in order to improve patient outcomes. This service will be available to all PDN’s retail pharmacy system vendors and their clients at no cost. "By partnering with DrFirst to provide medication history from our pharmacy system vendors and their customers, we are improving the data that providers receive at the point-of-care and assisting them in making more informed clinical decisions," said Chuck Welch, President of PDN. "This furthers our shared goal of better patient outcomes and decreased adverse drug events." "Clinicians need complete prescribing data they can rely on, especially in emergency situations when seconds count and delays to manually verify medication history can be deadly," said G. Cameron Deemer, President of DrFirst. "Our partnership with PDN allows providers to have the most complete patient history a doctor can trust, when and where they need it most." 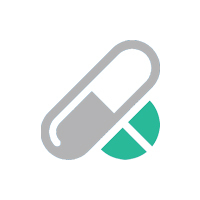 DrFirst, the nation’s leading provider of e-prescribing and medication management solutions, enables stakeholders across the healthcare industry to intelligently utilize comprehensive real-time data and connectivity to increase their patient safety ratings, efficiency and profitability. Today, over 170,000 healthcare professionals and over 60% of Electronic Health Record vendors, depend on DrFirst’s innovative software solutions to improve clinical workflows, expedite secure collaboration across a patient’s care team and drive better health outcomes. The company’s integrated technologies include its award-winning electronic prescribing platform, the most comprehensive medication history available, clinically specialized secure messaging, as well as patient medication adherence monitoring and benefits checking. For more information, please visit www.drfirst.com. Founded in 2015, PDN is a healthcare data combinator that takes variables in diverse data libraries and combines them to create one common database for use in the healthcare sector. Collaborating with various healthcare systems, PDN has created one standard interface where healthcare data can be entered, collected, stored and shared across all systems involved in the network. To learn more about Pharmacy Data Network, please visit www.pharmacydatanetwork.com, or contact David Dixon at david.dixon@pharmacydatanetwork.com. St. Joseph, MO – (September 1, 2017) – Pharmacy Data Network (PDN), a healthcare data aggregator, has partnered with Script Management Partners (SMP), a provider of Electronic Immunization Reporting Services, to offer immunization administration reporting services to its pharmacy network. In the new partnership, PDN will source immunization administration data from various pharmacy software vendors to make this service available to participating pharmacies. Utilizing the data supplied by PDN, SMP will provide pharmacies with electronic immunization reporting services, including the submission of records to appropriate IIS registries. IIS registries are confidential, population-based databases that contains immunizations administered by participating providers for persons residing within a specified geopolitical area. The Centers for Disease Control and Prevention encourages the use of IIS to consolidate this information into single database to help determine appropriate client vaccinations, and guide public health action with the goals of improving vaccination rates and reducing vaccine-preventable disease. "PDN’s ability to collect and provide immunization data to SMP is going to allow us the opportunity to provide our immunization administration reporting services to more pharmacies at a faster pace," said Kimberly Mernovage, senior vice president of SMP. Mernovage continued, "The key to working with PDN is the ability to access many pharmacies across multiple pharmacy software vendors using a single data feed. Rather than creating data feeds for each individual pharmacy software provider, our partnership with PDN connects us to thousands of pharmacies from a single source." PDN’s Chief Operating Officer, David Dixon, stated, "Prior to SMP’s service, pharmacies manually reported immunization administration records using multiple systems, which required duplicate data entry. SMP has taken the initiative to automate and simplify the process for independent pharmacies using specific data fields from our network that match IIS reporting criteria." Dixon elaborated, "As pharmacies continue to provide more clinical services to patients, specifically immunizations, SMP’s automation and reporting services will provide true value in the healthcare system." Dixon concluded, "SMP’s inclusion in our network represents a perfect example of our mission to apply diverse pieces of healthcare data to multiple systems, which ultimately creates value for all individuals and businesses involved in the network. We’re pleased to have them in the network." Script Management Partners (SMP) is a Health Information Technology company that provides connectivity across state and local Immunization Information Systems (IIS) for the ability to electronically report immunizations as well as research and identify immunization opportunities. Working with pharmacies, pharmacy software providers and other pharmacy service providers, SMP is a leader in providing turnkey solutions that allow pharmacies to help build their immunization programs and stay compliant with mandated reporting requirements. 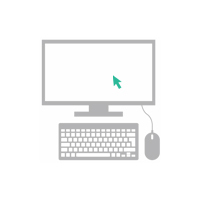 Based in St. Louis, MO, SMP provides services across all IIS registries that allow for electronic connectivity. For more information about Script Management Partners visit www.rxsmp.com or contact Kimberly Mernovage at kmernovage@rxsmp.com. Calle Mendez Vigo Mayaguez, Puerto Rico – (September 14, 2016) – WesCom, Inc., creators of FarmaTec Pharmacy Software, has announced a new partnership with Pharmacy Data Network (PDN) to centrally locate and store prescription data on behalf of their software users. The prescription data that is securely located in a HIPAA/HiTECH compliant network that can be readily repurposed and quickly redistributed to service providers that offer valuable business solutions to the pharmacies which the data belongs to. WesCom’s President, Axel Carreras, stated, "I’ve done business with David Dixon for many years. I trust him and have come to expect him to present opportunities for business growth and innovation." Carreras elaborated, "When David approached me with PDN’s unique model for data routing, storage and sharing, I saw the value that it represented for WesCom, our customers and their patients. Any time you can utilize technology to save time, increase service offerings and generate additional revenue – all businesses in the equation benefit significantly." Pharmacy Data Network’s Chief Operations Officer, David Dixon, stated, "It has been a privilege to work with Axel and WesCom over the years to provide service offerings for the WesCom pharmacies. Axel’s dedication to providing an excellent pharmacy system and customer support to their clients has always been impressive. PDN is excited about our strategic partnership with WesCom and expansion of data collection in Puerto Rico." "I was initially concerned that PDN’s data routing process would slow down insurance claims response times in the pharmacy. After implementing and testing PDN’s interface specifications, which was pretty simple, I’ve found that the process has actually improved claims response times." Carreras explained. "I’m impressed that we were able to improve upon an existing process, while adding new capabilities, and now that we have the PDN interface operational, I’m excited to see how the collection of data can expand the availability of services we are able to provide to our customers." PDN’s Dixon remarked, "Our development team has focused specifically on streamlining our interface to collect and store data. Our goal is to simplify a complex process so that it’s easy for pharmacy software vendors to join and contribute data to the network without expending extensive amounts of development efforts." Dixon elaborated, "Our simplified interface specifications continue to bring additional software vendors into the network, which also multiplies the number of pharmacies involved and the volume of data records. As all of these numbers increase, so does the value of Pharmacy Data Network for all businesses involved in the network. Therefore, we will continue to pursue quality companies like WesCom to join the network, as well as service providers that are interested in acquiring data to utilize in the services they offer to pharmacies so that all businesses in the network can generate revenue." Since its introduction in 1990, FarmaTec has been the most comprehensive pharmacy management system available. Today, approximately one hundred independent pharmacies in Puerto Rico rely on the dependability of FarmaTec. Built into every FarmaTec system are comprehensive tools for disease management, third-party billing, prescription processing and flexible customization for each pharmacy’s needs. All of this is guaranteed by quality WesCom service and support. For more information about WesCom, Inc. visit www.wescompr.com or contact Axel Carreras at axelcarreras@wescompr.com. OAK BROOK, IL – (May 27, 2016) - BestRx, a provider of pharmacy management systems for independent pharmacies, has announced a new partnership with Pharmacy Data Network (PDN). Pharmacy Data Network provides a HIPAA/HiTECH compliant network interface that BestRx has selected to centrally locate and store prescription data on behalf of their software users. The prescription data that is securely stored by Pharmacy Data Network can be readily repurposed and quickly redistributed to service providers that offer valuable pharmacy and business solutions to the pharmacies which the data belongs to. "We are very excited about our partnership with Pharmacy Data Network," said Hemal Desai, the President of BestRx. "Pharmacy Data Network’s ability to rapidly create interfaces to, and share data with the service companies that our customers wish to conduct business with is going to be a game changer for BestRx. 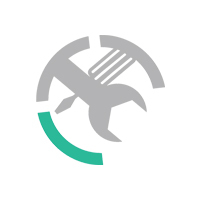 Rather than developing a new interface for each new service provider our clients wish to work with, we can leverage PDN’s expertise to quickly connect our clients to as many service providers as they’d like. This, in turn, allows us to concentrate on what we do best, which is improving our pharmacy management system so that we can provide the best product possible to our clients." PDN’s Chief Operations Officer, David Dixon, stated, "We’re pleased to have BestRx’s 900 plus independent pharmacies active in our network." Dixon elaborated, "The amount of data that BestRx’s software users bring to the network significantly increases the number of records we are processing on a daily basis. As data volume in the network continues to accumulate, we’re looking forward to expanding the services we can provide to all pharmacies in the network as well." Since 1985 Best Computer Systems has been providing cutting edge software solutions for pharmacies and retail stores at an affordable price. We know that pharmacists are looking for ways to reduce their costs while increasing their productivity, and we believe we can help achieve this goal. Our pharmacy management and point-of-sales applications use the latest technologies and are extremely easy to use. This ensures that our customers will be on the leading edge while helping them to keep up with their increasing demands. At BestRx, we also believe in personalized service. We feel it is our obligation to get to know each and every one of our customers, so that we can provide the quality service that they deserve. The BestRx Pharmacy Management System is extremely easy to use and requires little to no training. Currently we have over 900 installations of the BestRx system nationwide and are continuously growing. For more information about BestRx visit www.bestrx.com, or contact a sales representative at info@bestrx.com. CARO, MI – (May 23, 2016) - SRS Pharmacy Systems, Inc. (SRS), a provider of community, small chain, university, and hospital pharmacy management systems, has announced a new partnership with Pharmacy Data Network (PDN). Pharmacy Data Network provides a HIPAA/HiTECH compliant network interface that SRS has selected to centrally locate and store prescription data on behalf of their software users. The prescription data that is securely stored by Pharmacy Data Network can be readily repurposed and quickly redistributed to service providers that offer valuable pharmacy and business solutions to the pharmacies which the data belongs to. SRS President Jim Tussey stated, "SRS is encouraged to have a partner like PDN to help navigate the increasingly complex retail pharmacy marketplace." David Dixon, PDN’s Chief Operations Officer stated, "We are excited about partnering with SRS and are pleased to have their pharmacy software users involved in the Pharmacy Data Network. For more than 25 years SRS has provided their customers with tremendous value. Utilizing our expertise in interface development and data distribution capabilities, we hope to increase this value even more by providing access to additional programs and services that SRS’s customers wish to incorporate into their businesses." SRS Pharmacy Systems, a provider of retail and community pharmacy systems located throughout the country. With 98% customer retention history over 25 years, SRS endeavors to keep its customers competitive in today’s changing marketplace. For more information about SRS visit www.srspharmacy.com, call 800-673-6226, or send an email to sales@srspharmacy.com. ST. JOSEPH, MO – (May 15, 2016) - Pharmacy Data Network is proud to announce the addition of a new staff member to a recently formed executive position in the organization. David Dixon has been appointed the position of Chief Operating Officer and will provide executive leadership to optimize operational efficiencies, implement and sustain a continuous growth strategy throughout all organizational areas including business development, project management, data supply chain management, and data distribution execution for the company. Dixon holds a Bachelors of Business Administration degree from the University of Oklahoma. For over two decades Dixon has been involved in numerous healthcare ventures pertaining to the medical, hospital and pharmacy Electronic Data Interchange (EDI) environment as well as the pharmacy management software industry. "I’m pleased to have David on board." said Pharmacy Data Network’s Founder and CEO, Chuck Welch. "David possesses a unique ability to forge and nurture strategic business relationships. Throughout his career he has also been involved in numerous healthcare organizations that have matured quickly and thrived for years. His experience and knowledge of the industry will support our mission to improve the interoperability of healthcare systems by simplifying and streamlining the process in which pharmacy data is exchanged and to facilitate greater accessibility to the data that is needed to drive innovation and positive outcomes in the healthcare industry." To learn more about Pharmacy Data Network, please visit www.pharmacydatanetwork.com, or send an email to info@pharmacydatanetwork.com. David Dixon can be reached at david.dixon@pharmacydatanetwork.com. Partnership deepens Pleio’s network of national pharmacies and allows Pharmacy Data Network to offer Pleio GoodStart® to its customers. BOSTON, MA (PRWEB) – (December 4, 2015) - Through this partnership, Pleio will deliver its industry-leading Pleio GoodStart® medication adherence solution to millions of additional patients using pharmacy data from Pharmacy Data Network’s (PDN) pharmacy software system vendors. Pleio GoodStart® integrates live outreach by GoodStart Mentors™, data analytics, and a menu of digital adherence tactics to help patients succeed on therapy and improve adherence measures such as Proportion of Days Covered (PDC). Pleio’s CEO Mark Connors says, "Our partnership with PDN will allow Pleio to improve Star ratings for our community pharmacy and health plan partners, improve the health and wellness of their loyal patients, and lower overall healthcare costs." PDN seeks to ease the burden on system vendors who receive numerous demands for data, while meeting the business needs of the many community pharmacies it serves. PDN’s CEO Chuck Welch says, "Our partnership with Pleio is yet another example of our commitment to helping community pharmacies bring affordable, practical programs to their customers in their surrounding neighborhoods." To learn more about Pharmacy Data Network, please visit www.pharmacydatanetwork.com, or contact Chuck Welch at chuck.welch@pharmacydatanetwork.com. HILLSBORO, NC – (November 30, 2015) - VIP Pharmacy Systems, a provider of pharmacy management software, has announced a new partnership with Pharmacy Data Network (PDN). Pharmacy Data Network provides a HIPAA/HiTECH compliant network interface that VIP Pharmacy Systems has selected to centrally locate and store prescription data on behalf of their software users. The prescription data that is securely stored by Pharmacy Data Network can be readily repurposed and quickly redistributed to service providers that offer valuable pharmacy and business solutions to the pharmacies which the data belongs to. "Our partnership with Pharmacy Data Network is an exciting new step in data management for pharmacies," said Jim Hall, President of VIP Pharmacy Systems. "PDN provides much needed tools and resources that aim to help all businesses involved build from our collaboration. In an industry that is constantly growing in scope and complexity, this partnership will not only give our customers easy access and integration to an expanding number of service providers, but it will also give them the most reliable and beneficial means of managing their data. We look forward to expanding our partnership with PDN as a part of our efforts to provide the best products and business opportunities to our customers." Chuck Welch, the founder and CEO of PDN, stated, "We’re pleased that VIP Pharmacy Systems saw our vision for interoperability and the value that our network presents to their business as well as their customers." Welch added, "I’m excited to work with VIP Pharmacy Systems to bring valuable new and innovative services to their customers that positively impact their businesses and the lives of those they serve." The VIP Pharmacy Management System is a complete and fully integrated software system designed to simplify what it takes to manage your pharmacy. VIP's software is designed to be user-friendly and easily adaptable for your Pharmacy, Long-Term-Care, and Point-of-Sale needs. With 30 years of providing fast, reliable, and all-inclusive resources to manage your pharmacy, along with our commitment to providing our customers with immediate and personal customer support, VIP Pharmacy Systems will give you the tools to help you grow your independent pharmacy! For more information about VIP Pharmacy Systems visit www.vip-pharmacy.com, or contact Jim Hall at jim@vip-pharmacy.com. LEXINGTON, KY (November 15, 2015) – The American Pharmacy Alliance (APA), a technology partnership of leading pharmacy software companies that supply prescription processing systems to more than 12,000 independent and small chain pharmacies throughout the United States, has entered into a preferred business agreement with Pharmacy Data Network (PDN). Through this agreement, APA members have the option to utilize PDN services as part of the APA Advantage, a set of programs and services that have been established between APA and numerous pharmacy service providers. "Our goal at APA is to provide access to beneficial products and services for independent and small chain pharmacies, their customers, and software vendors nationwide." said John Hobson, APA’s Director of Business Development. "The number of new programs available to help community pharmacies expand patient services is exploding, and PDN services help pharmacy system vendors deal with the increasing data interface and exchange demands that accompany those programs." Chuck Welch, the founder and CEO of PDN, said, "We’re extremely excited about our agreement with the APA. Representing over 12,000 independent pharmacies, industry leading software vendors, and pharmacy service providers, there isn’t a better place to launch our healthcare data combinator." Welch added, "I’m looking forward to introducing PDN’s technical capabilities and the benefits we can provide to all businesses and people involved in the network. Collaborating as one cohesive group of healthcare technology experts, I firmly believe that we can change the way healthcare data is collected, strategically combined and shared to positively impact the way healthcare professionals care for patients in our healthcare system. The potential for true transparency and interoperability is limitless." For more information about the American Pharmacy Alliance please visit www.ameripharm.com, or contact John Hobson at jhobson@ameripharm.com. APA Pharmacy Software vendors include: Cerner Etreby Computer Company, Cost Effective Computer Systems, Inc., Health Business Systems, Inc., Lagniappe Pharmacy Services, QS/1 Data Systems, Speed Script, Transaction Data Systems, Inc. (Rx30), VIP Computer Systems, Inc.
LENEXA, KS – (October 31, 2015) - Speed Script, a provider of pharmacy management systems and services, has announced a new partnership with Pharmacy Data Network (PDN). Pharmacy Data Network provides a HIPAA/HiTECH compliant network interface that Speed Script has selected to centrally locate and store prescription data on behalf of their software users. The prescription data that is securely stored by Pharmacy Data Network can be readily repurposed and quickly redistributed to service providers that offer valuable pharmacy and business solutions to the pharmacies which the data belongs to. "The partnership with Pharmacy Data Network supports our ongoing efforts to provide our customers with access to products and services they desire to operate their businesses," said Heath Reynolds, Speed Script’s Director of Business Development. "Pharmacy Data Network’s ability to rapidly create interfaces to, and share data with the service companies that our customers wish to conduct business with is truly unique. I’m impressed with the simplicity and ease in which they are able to connect thousands of pharmacies with leading service providers. Rather than developing a new interface to every service provider that our customers desire, we can now rely on PDN to connect our customers to as many service providers as they’d like, at a much more rapid pace. The data collection, storage and distribution model that PDN has established will open up significant opportunities for all businesses associated with the network." Chuck Welch, the founder and CEO of PDN, stated, "We’re pleased that Speed Script saw our vision for interoperability and the value that our network presents to their business as well as their customers." Welch added, "I’m excited to work with Speed Script to bring valuable new and innovative services to their customers that positively impact their businesses and the lives of those that they serve." Speed Script provides a flexible, pharmacy management system and adaptable technology services that enable pharmacies to effectively achieve their business goals. Featured products include Speed Script, an all-inclusive pharmacy management system and Speed Script LTC, an electronic facility to pharmacy communication application - fully equipped with drug pass and eMAR technology for long-term care providers. For more than 35 years, the defining attribute of Speed Script has been its dedication to sensational customer service. For more information about Speed Script visit www.speedscript.com, or contact Heath Reynolds at hreynolds@speedscript.com. Questions? Interested in joining the network? Except as noted otherwise, the content of this website, including the text content, images and other graphics and their arrangement, are copyrighted by Pharmacy Data Network, LLC. No portion of the materials on these pages may be reprinted or republished without our express written permission. When communicating or registering on our site, as appropriate, you may be asked to enter your name, email address, mailing address, phone number or other details to help you with your experience. We do not use an SSL certificate because we do not collect payment information such as credit cards, nor do we collect information such as social security numbers. You can choose to have your computer warn you each time a cookie is being sent, or you can choose to turn off all cookies. You do this through your browser (like Internet Explorer) settings. Each browser is a little different, so look at your browser's Help menu to learn the correct way to modify your cookies. If you disable cookies, some features will be disabled. This may affect the user experience that make the site more efficient and some functions may not function properly. We will notify the users via email, or via in-site notification within 7 business days. Follow the instructions at the bottom of each email and we will promptly remove you from all coorespondence. Policy last modified on May 26, 2016.